What is the meaning of DUSRA? DUSRA means Development of Universal Software & Research Association. DUSRA was established in June 2010. How many trainers or developers DUSRA has? DUSRA employs 20+ trainers and developers in various professional courses. How many students took professional courses from DUSRA? From 2010 till present, we have trained more than 600+ students in various courses in our institute. How many projects are completed by DUSRA? DUSRA has completed over 100+ projects both local and foreign. What scholarships & course discounts are available from DUSRA? Yes, scholarships & course discounts are available. This is according to the terms and conditions of DUSRA and economical status of the students. What fields of work DUSRA is working on? we are working on several IT sectors such as IT Training, Industrial Attachment for Diploma Engineers, Freelancing, Web Development, Software Development, Workshop on IT related courses and others. Are there any other branches of DUSRA around Bangladesh? No. 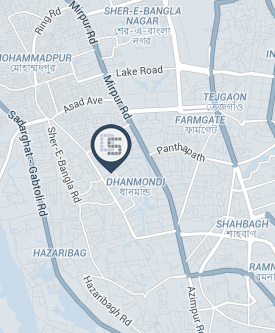 right now there are no other branches of DUSRA, but we plan to open several branches all over Bangladesh. Can DUSRA help in getting Jobs after Course complete? After course completion, we help dedicated and skilled students to get into the job market. What duration is for the courses? What is the class time usually? Course duration depends on each course syllabus. The class hour is from minimum 2 hrs to 3hrs. And each course is 2/3 days per week.